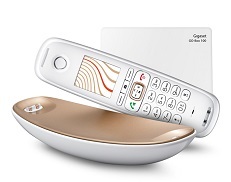 The Grandstream DP720/750 is a DECT cordless VoIP phone and base station bundle, which supersedes the DP710/DP715 bundle. Supporting up 10 SIP accounts per handset the DP720 has full HD audio, a 3.5mm headset jack, 1.8" colour LCD screen, multi-language support and more. It supports a range of 300m outdoors and 50m indoors allowing users the freedom to move around their work/home space. The DP750 also offers 3-way voice conferencing, full HD audio, and integrated PoE. Each handset can map to any SIP account. 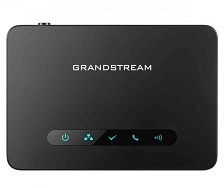 All Grandstream products come with full manufacturers warranty for 1 year. This bundle comes with 1 handset. 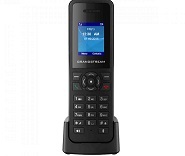 The Grandstream DP720/750 is a DECT cordless VoIP phone and base station bundle, which supersedes the DP710/DP715 bundle. Supporting up 10 SIP accounts per handset the DP720 has full HD audio, a 3.5mm headset jack, 1.8" colour LCD screen, multi-language support and more. It supports a range of 300m outdoors and 50m indoors allowing users the freedom to move around their work/home space. The DP750 also offers 3-way voice conferencing, full HD audio, and integrated PoE. Each handset can map to any SIP account. 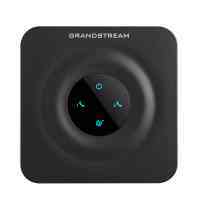 All Grandstream products come with full manufacturers warranty for 1 year. This bundle comes with 3 handsets. This DECT VoIP base station supports up to 10 SIP accounts and 4 concurrent calls while also offering 3-way voice conferencing, full HD audio and integrated PoE. A shared SIP account on all handsets will add seamless unified features that gives users the ability to answer all calls regardless of location in real-time. The DP750 supports a variety of auto -provisioning methods and TLS/SRTP/HTTPS encryption security. 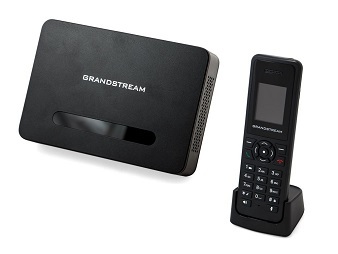 When paired with Grandstream’s DP720 , the DP750 offers a powerful DECT VoIP base station that allows any business or residential user to create a cordless VoIP solution. 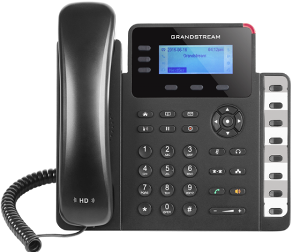 It is supported by Grandstream’s DP750 DECT VoIP base station and delivers a combination of mobility and top-notch telephony performance. Up to five DP720 handsets are supported on each DP750 while each DP720 supports a range of up to 300 meters outdoors and 50 meters indoors from the base station. The DP720 touts a suite of top-notch telephony features including support for up to 10 SIP accounts per handset, full HD audio, a 3.5mm headset jack, multi-language support, a speakerphone and more. 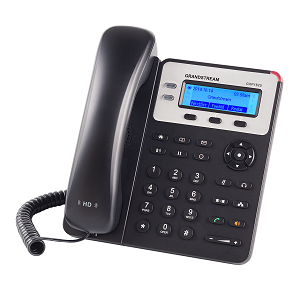 When paired with Grandstream’s DP750 DECT Base Station, the DP720 offers a powerful DECT VoIP handset that allows any business or residential user to create a cordless VoIP solution.